I love making tea. This is not something that can really be questioned. I love the process of creating a new taste that makes people happy. I find a special sort of joy in still being able to be that strange combination of creative and useful that taking a request and making it real allow me to be. ‘Tea at Pemberley’ came out of a query for a birthday celebration. A woman who had already trusted us enough to order a variety of teas asked me if we had a lavender earl grey. As is, sadly, often the case with teas for taste, we didn’t yet. Not because the thought hadn’t occurred to me, but because my “make these teas” list is disturbingly long, and I had not gotten to that specific one, as yet. We talked a bit, and given that she knew our general naming conventions, she asked that we salute either Agatha Christie’s universe or Austen’s. The wonderful people in our tea naming group came up with a number of options, and the woman who had initially made the query cast the deciding vote. 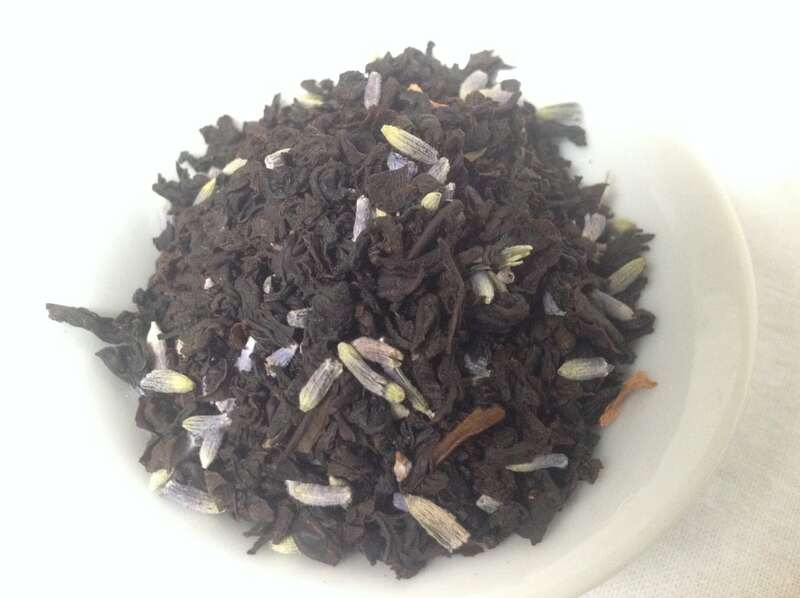 The blending process was a little complex because lavender is one of the herbs where I always forget how potent it is, both as a taste, and as a medicinal. However, we got the balance to a point where Mister Tea and I were both happy with it, and sent it out, with bated breath, to the recipient. The response was fairly stellar, so I think we will keep the tea. 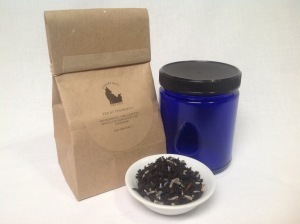 This entry was posted in Black Tea, Floral, Simply Tasty Teas, Things We make (Tea, Coffee, Cocoa), Types of Tastes and tagged Austen Tea, Desert Sage Natural, Literary Tea, Organic Black Tea, Organic Earl Grey, Organic Floral Tea, Organic Lavender by DesertSage. Bookmark the permalink.